Cpl. John P. Holbrook, son of Mr. and Mrs. W. L. Holbrook, Archer City, husband of Ann Watson, attended New PortvHigh. 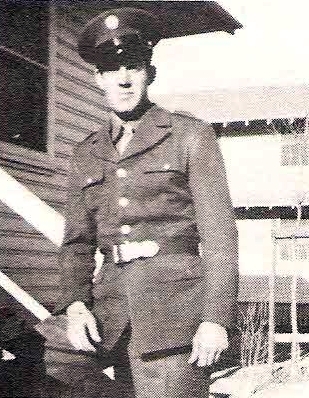 Entered Army, 1942, trained at Camp Roberts, Cal. Served in N. Guinea and Luzon. Awarded GCM, Combat Inf. Badge, APO, Bronze Arrowhead, 5 overseas Bars, 3 Bronze Stars, Phil. Lib. Ribbon, 1 Bronze Star and Victory Medal. Discharged in 1945.